The Supreme Court’s been in the news a lot lately. Several of the nine justices claim to be originalists, assuming to know what the framers meant when they wrote it, and that they meant for us to follow it for the most part as written for the life of the republic. Well. No less an authority than Thomas Jefferson said the Constitution should be rewritten every 19 years. And my next guest has taken him up on that. 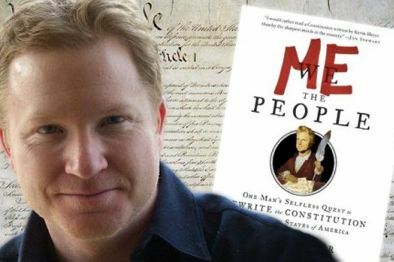 KEVIN BLEYER — who’s won Emmys writing for THE DAILY SHOW and has worked on President Obama’s speeches at the White House Correspondents’ Dinners – has done what he calls “a page one rewrite.” Bleyer joins me on Free Forum to talk about his new book, ME THE PEOPLE: One Man’s Selfless Quest to Rewrite the Constitution of the United States of America. Among the things that most people agree are in big trouble these days are the European Union and democracy in the US. I will talk with today’s guest, STEVEN HILL, about both. We have been hearing for two years about the trouble Europe is in. The debt crisis in Greece, Spain, Portugal, Ireland and beyond is challenging this federation of nations and economies to share the solutions to problems that have proven worst in individual countries who took greater risks than their more prudent neighbors. After Europe seemed to have fared better than the US in the early stages of this prolonged crash, what brought on this crisis? How close are they to solving it? How close are they to blowing it? What would Hill’s advice be? And what does it mean for the rest of the world and for the US in particular? While the bad news of this Euro crisis makes headlines in the US, what has not made headlines is the good news contained in HILL’s 2010 book EUROPE’S PROMISE. I will check in with Hill about the current state of that promise. 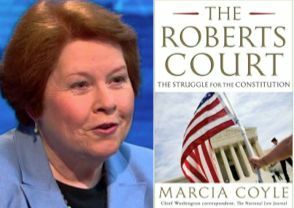 Closer to home, HILL believes that America’s recent economic collapse was preceded by a longer-term political collapse. Even before the economic crisis, the US faced choice-less elections, out-of-control campaign spending,partisan polarization, a rigidly divided Congress, a filibuster-wild U.S. Senate, superficial debate, mindless media, a partisan Supreme Court, and paralysis in the face of new global challenges. As the middle collapses and partisans take over, Americans’ frustration grows – witness the Tea Party and the 99%. 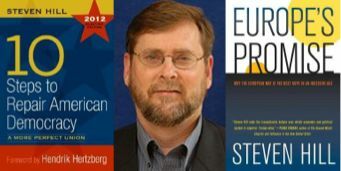 In a brand new 2012 Election edition of his 2006 book, Steven Hill renews his 10 Steps to Repair American Democracy.